신라 제29대 무열왕(재위 654∼661)의 무덤으로 경주 시가지 서쪽의 선도산 동쪽 구릉에 있는 5기의 큰 무덤 가운데 가장 아래쪽에 있다. 무열왕은 진덕여왕의 뒤를 이어 왕위에 오른 최초의 진골 출신 왕으로 본명은 김춘추이다. 당과 연합하여 백제를 정복하고 삼국통일의 기초를 마련한 인물로,『삼국사기』에 의하면 왕위에 오른지 8년만인 661년 6월에 죽어, 죽은 왕에게 태종무열이라는 시호를 내리고 영경사(永敬寺)) 북쪽에 장사지냈다고 전한다. 아직 발굴조사를 하지 않았으나 굴식돌방무덤(횡혈식 석실분)으로 추정된다. 통일신라시대의 다른 무덤에 비해 봉분장식이 소박한 편으로 무덤 주위에 자연석으로 둘레돌을 돌렸다. 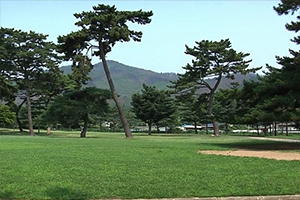 무덤 앞 동북쪽에는 경주 태종무열왕릉비(국보 제25호)가 있다. 무열왕릉은 신라의 왕릉 가운데 무덤 주인을 확실히 알 수 있는 유일한 것으로 가치가 있으며 1972∼1973년에 주변을 정비하여 현재에 이르고 있다. 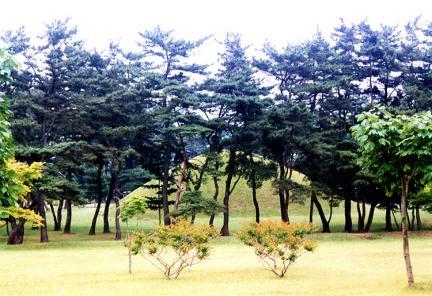 This tomb with a huge round mound in the pine forest at the eastern foot of Seondosan Mountain is that of King Muyeol (654-661), the 29th ruler of Silla. 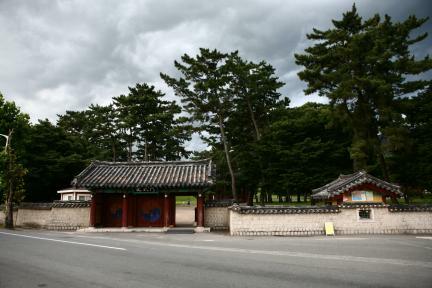 Born Kim Chun-chu, he served his country with unrivaled political leadership and diplomatic talent when his country was fiercely struggling for hegemony against Baekje and Goguryeo. 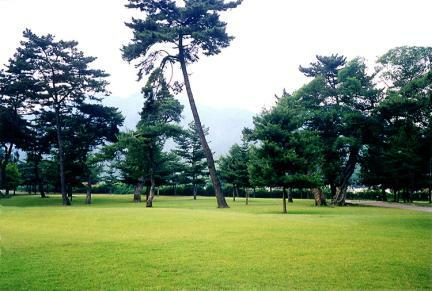 Aided by General Kim Yu-sin, he succeeded to the throne of Queen Jindeok. 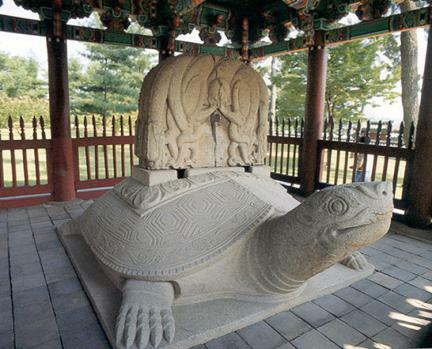 He defeated Baekje following an alliance with the Tang Dynasty of China, paving the way for the unification of the three kingdoms by defeating Goguryeo. 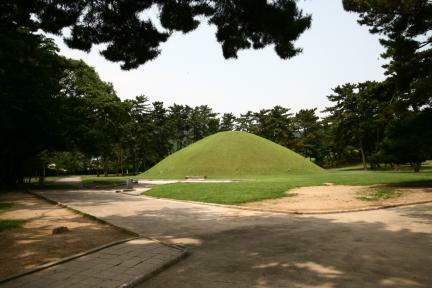 This round earthen-mound has height of 13m and circumference of 112m. The base was reinforced with natural stones, with larger stones inserted randomly. Today, only the larger stones remain. 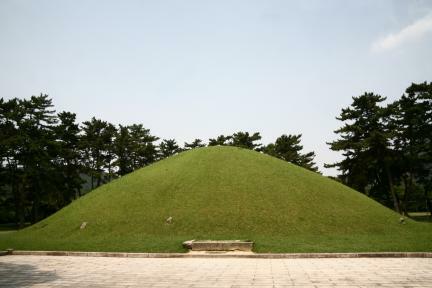 This type of base structure is rather advanced compared with that of the old Silla period. 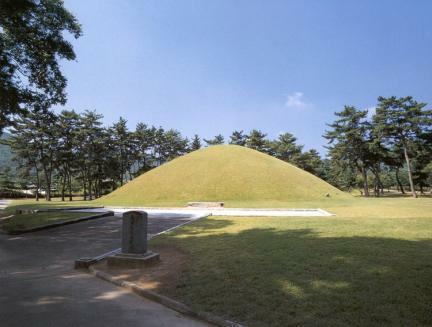 In front of the tomb are a capstone and a stone tortoise pedestal that once supported a stele (National Treasure No. 25) for the king. 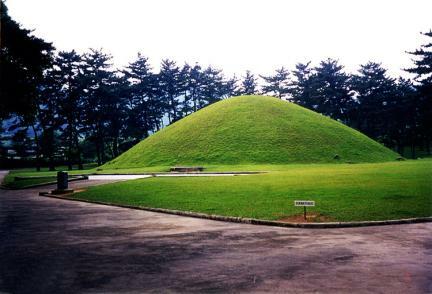 This is the only royal tomb of Silla whose occupant we know of. 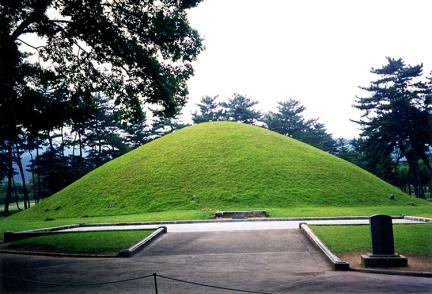 The neighborhood of this tomb was kept in order from 1972 to 1973.